Craig's practice focuses on representing companies involved in extraction, transportation and marketing of oil and gas and other natural resources. It involves both transactional and litigation components. Examples include, on the transactional side, negotiation and drafting of natural gas marketing, gathering and transportation agreements, major oil and gas property acquisitions and dispositions, farm-out agreements, joint operating and unitization agreements, project financings, and negotiations with federal and state authorities concerning access rights, permits, royalties and environmental compliance issues. On the litigation side, Craig has extensive lead counsel trial experience in complex cases in federal and state courts and in arbitration, covering the gamut from take-or-pay and natural gas purchase and transportation issues to operational, royalty and other leasehold disputes, valuation, tax, and environmental issues. He also has experience in dealing with a wide variety of administrative agencies, including the Bureau of Land Management, the Minerals Management Service, the United States Forest Service, the Environmental Protection Agency, the Federal Energy Regulatory Commission and state oil and gas and public utility commissions. He has also served as an arbitrator in disputes involving oil and gas and surface use disputes. He also provides advice and assistance to land tenants concerning the relationships between mineral development and conservation easements. 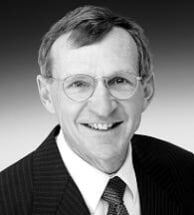 Craig served as president of the Rocky Mountain Mineral Law Foundation in 2007-2008. He is consistently honored as one of the Best Lawyers in America and Colorado Super Lawyers in the fields of Energy and Natural Resources Law. He is a frequent lecturer on natural resource subjects, particularly those involving the leasing of federal oil and gas interests. He has authored numerous articles in the natural resources area, such as: The New Standing and Ripeness Doctrines: Who Can Challenge Public Lands Decisions, and When? 45 Rocky Mtn. Min. L. Inst. (1999) and Natural Gas Price Indices: Do They Provide a Sound Basis for Sales and Royalty Payments? 42 Rocky Mtn. Min. L. Inst. (1996). Prior to the merger of Carver & Kirchhoff into Schwarz McNab & Bailey in 2004, he served as a partner of: Carver & Kirchhoff (2002-2003); Alfers & Carver (1996-2002); Gibson, Dunn & Crutcher (1982 1996) and Head, Moye, Carver & Ray (1976-1982). He has practiced in Denver since 1974. He is a graduate of Stanford University (A.B., with distinction, 1970) and the University of Denver (J.D., order of St. Ives, 1974). From our offices in downtown Denver, Colorado, the natural resources attorneys of Carver Schwarz McNab Kamper & Forbes, LLC, represent clients throughout the state of Colorado in communities such as Colorado Springs, Fort Collins, Boulder, Greeley, Longmont, and throughout Larimer County, Weld County, Denver County, Jefferson County, El Paso County, Douglas County, Arapahoe County, Adams County, and Boulder County. Our practice extends across the Rocky Mountain region and includes Nevada, Arizona, Idaho, Wyoming, Utah and New Mexico. Our air pollution practice includes Texas, Louisiana, Kansas, and Michigan.